The Lunasol website has been updated with the Sheer Breeze Collection, due out on 15 May in Japan. 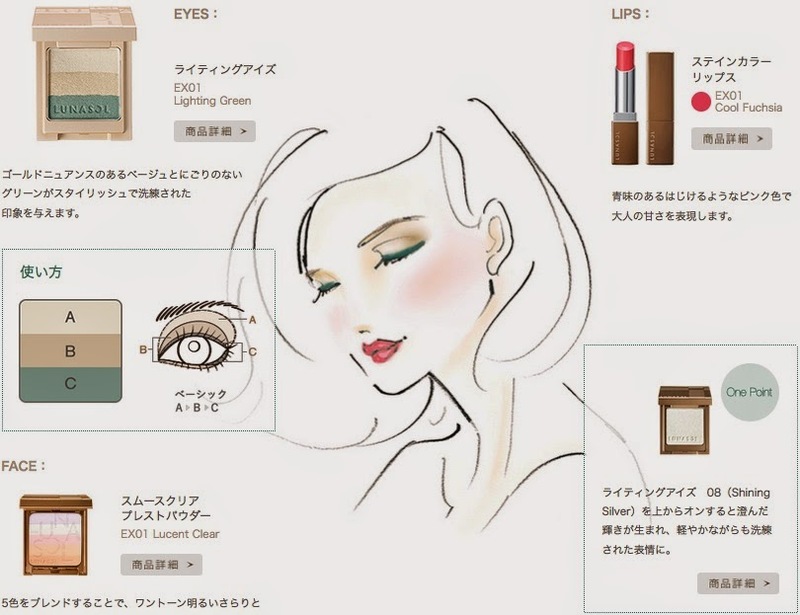 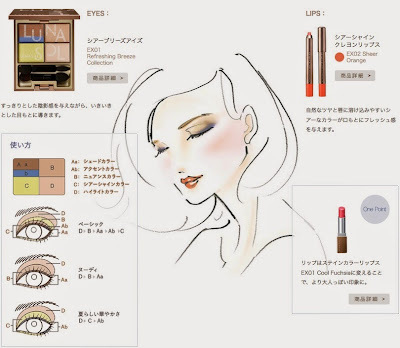 Check out their four makeup and fashion style suggestions here. 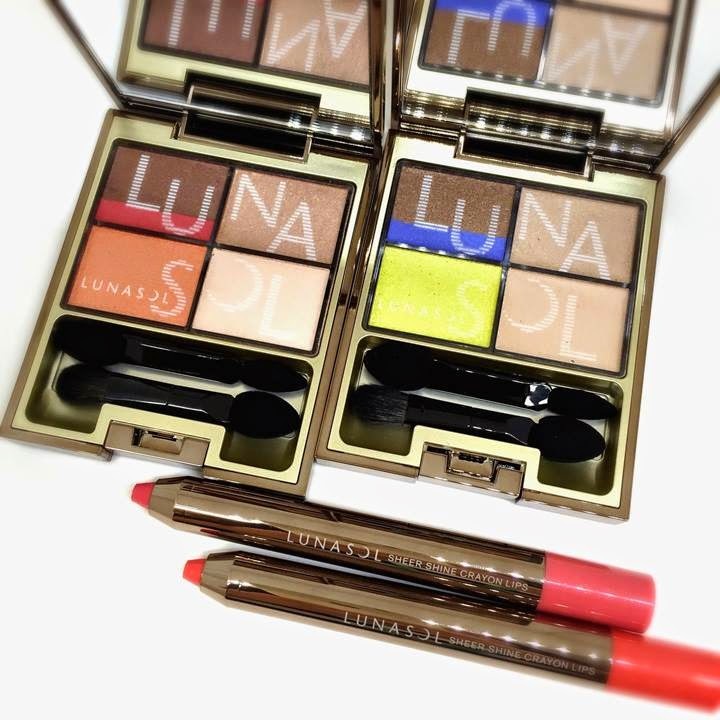 These are interesting hues from Lunasol!! Pity though I can't ever make eyeshadows stay as a liner on my hooded lids... It's a technique I frequently see on Japanese makeup but it just doesn't work for me.